Metro: None, perhaps Spagna. An alternate is to take Bus 40 or 64 (get off at Piazza San Panteleo, 2 stops past Piazza Venezia, then walk 2 blocks north and one block west from there). You just never know what's waiting around the corner for you in Rome. I was walking from the remains of Circus Agonalis to the Tor Millina and happened to pass by a church that had an open front door. It was Santa Maria dell'Anima. I figured why not take 5 minutes and see what's inside? 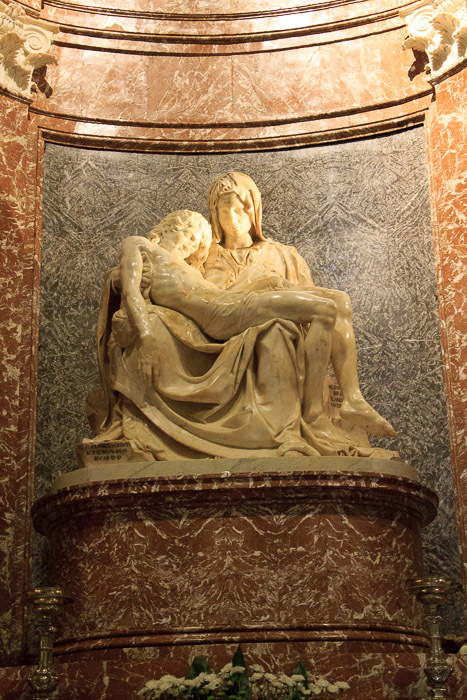 So I did, and I got to see a beautifully ornate church interior, with a chapel containing a slightly-modified copy of Michelangelo's Pieta in a setting that I could get within 10 feet of, with no one else around. The copy was made by Lorinzetto in 1530, and was intended for the high altar, and although you can definitely tell it's not the work of Michelangelo, it was worth some time to enjoy in its own right. 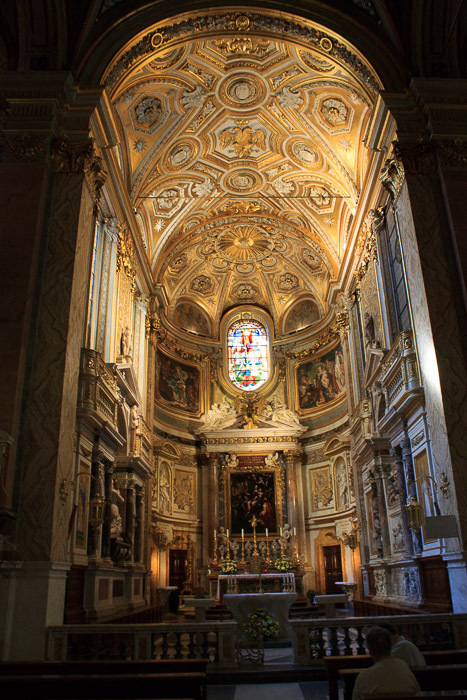 See all Santa Maria dell'Anima photos.